Bakar Saieed was critically wounded during a robbery attempt at the Clark gas station in Chicago. 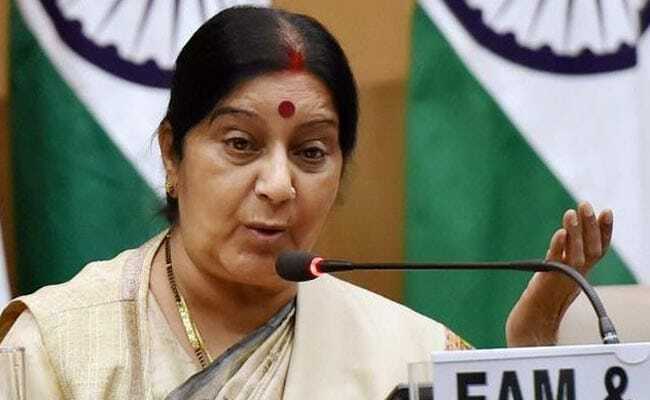 Foreign Minister Sushma Swaraj praised the consulate general for visiting the victim in the hospital. Washington: An Indian man, who was injured during an attempted armed robbery in the US in which a student from the country was shot dead, is stable and recovering well, Indian officials said. The consulate general of India in Chicago, Neeta Bhushan, along with other consulate officials visited Bakar Saieed, who had received two bullet wounds, in the hospital yesterday. In a tweet, the consulate general said Mr Saieed is "conscious" and "recovering well by God's grace". External Affairs Minister Sushma Swaraj praised the consulate general for visiting the victim in the hospital. "Shabash Neeta. This is the way we should care for our people," Ms Swaraj tweeted. Mr Saieed's son also praised the consulate officials. "Thank you so much for the wonderful support and our family is very happy to hear that my father is recovering very well," he tweeted. In the attempted armed robbery at the Clark gas station at 142nd and Langley in Dolton in Chicago on December 28, 19-year-old Indian student Arshad Vhora was shot dead while Mr Saieed was critically wounded. Mr Vhora, who was pronounced dead at the scene, was a sophomore business major at South Suburban College.